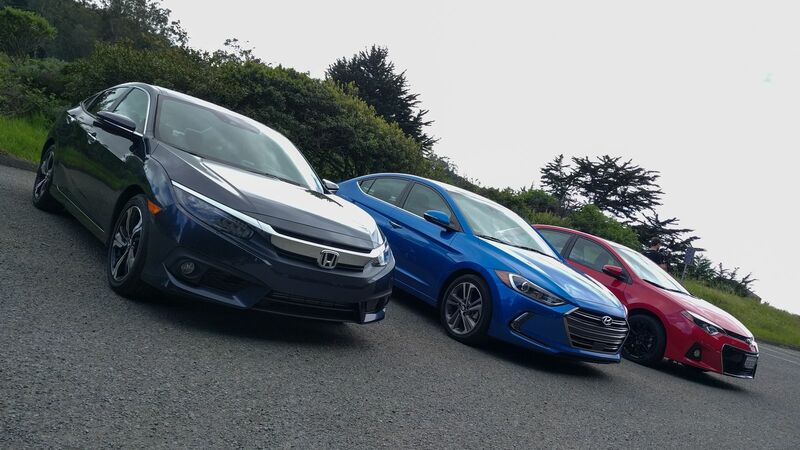 In this battle of the sedans, we’ll pit the Civic against the Elantra, two perfectly capable cars that are fan favorites and perform well on the road. 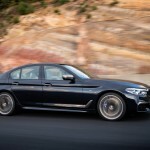 What are the most important elements for a sedan? 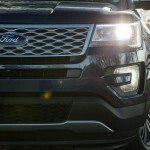 Fuel efficiency, power, safety features, and price. Let’s have a look. The 2017 Honda Civic has two powertrain options: a 2.0-liter 4-cylinder engine that can produce 158 horsepower when paired with a 6-speed manual transmission and a 1.5-liter inline-4 turbo that produces 174 horsepower. 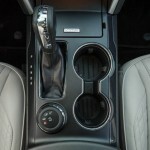 The manual gearbox on the first engine is only available on the base model LX. That has a fuel economy of 35/41/35 miles per gallon city/highway/combined. 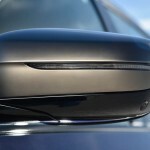 As for safety features, Honda packed the Civic with the Honda Sensing that earned it awards from National Highway Traffic Safety Administration (NHTSA) and Insurance Institute of Highway Safety (IIHS). The 2017 Honda Civic has a starting price of $18,640, $21,000, and $26,500 for the base, EX, and Touring trims, respectively. 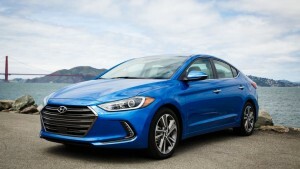 The Hyundai Elantra also has two powertrain options. 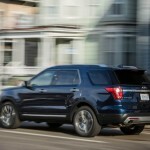 The base trim comes with a 2.0-liter 4-cylinder engine that produces 147 horsepower. This is paired with a manual gearbox for the base model while the rest of the models get a CVT. The Elantra got an EPA rating of 29/28/33 miles per gallon in the city, on the highway and combined, respectively, for this. 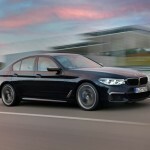 It also boasts of another engine: a 1.4-liter inline-4 that churns out 128 horsepower. 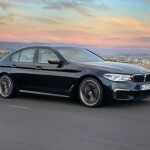 It is paired with a 7-speed dual clutch transmission. 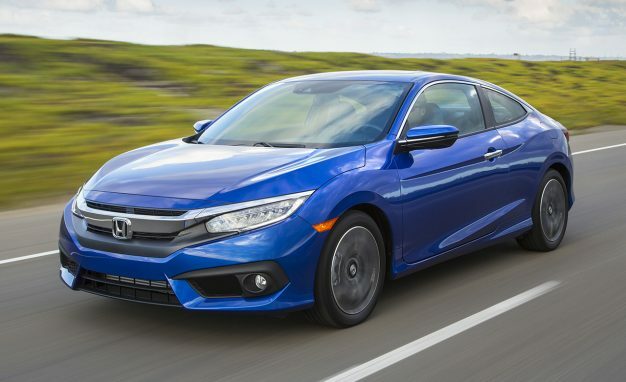 Like the Civic, it also earned nods from the IIHS and the NHTSA, though its scores fell below those of the 2017 Honda Civic. 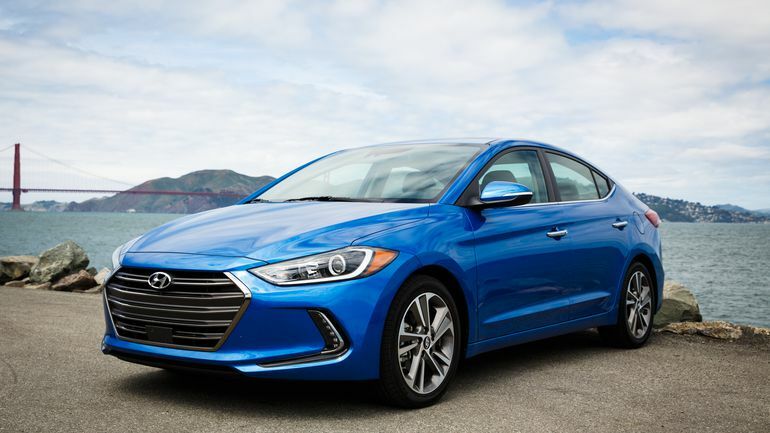 The starting price for the Hyundai Elantra is much lower than the Civic’s. You can get the base model for $17,150, which is a tad lower than the base model being offered by the Civic. Who’s the winner? Clearly, the Civic takes the trophy on this battle, especially when it comes to safety features and fuel economy. There were definitely plenty of delays, but the 2017 Alfa Romeo Giulia has finally arrived and it’s ready to be delivered to your doorsteps. 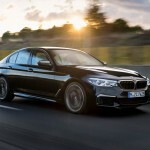 But before you let go of that hard-earned cash, take a look at how this luxury vehicle fares when pitted against its direct competitors—the BMW 3-Series, the Mercedes-Benz C-Class, and the Jaguar XE. The 2017 Alfa Romeo Giulia has the “most pleasing lines” out of the lineup. It has dynamic creases on the hood that wraps around the frames to the front grille, whose three-vent design certainly became a standout. Why is that? The grilles on the Merc, BMW, and Jaguar have very definite separation between the upper and the lower grille. In the rear, the 2017 Alfa Romeo Giulia is subtle with its changes, though the C-shaped taillights and the large tailpipe units certainly added some visual stylistics. Round and compact, that’s how one will describe the overall look of the 2017 Alfa Romeo Giulia. 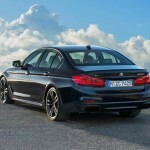 It is almost the same length as the 3-Series and slightly shorter than the C-Class and XE. 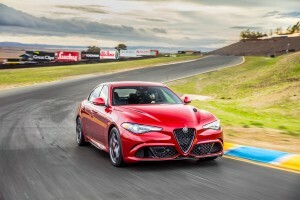 You’ll notice that compared to the other three luxury sedans, the Giulia has a short overhang. If you opted for it, the Giulia can be had with five-hole wheels and hood vents. 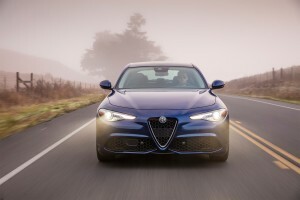 Inside, there’s nothing much going on with the 2017 Alfa Romeo Giulia, except that it sports a few more buttons and knobs than the BMW and the Jaguar. What’s good about the cabin is that it was kept clean and simple, and there was nothing over-the-top about it. 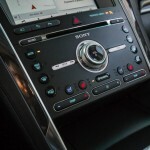 That draws attention to the sculpted lines of the dashboard that is home to the infotainment system and various other knobs and what-not. 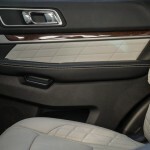 There’s a frameless infotainment screen that allows you to navigate fashionably, we might say. The seats are all wrapped in leather, which is a standard on all Giulia models. 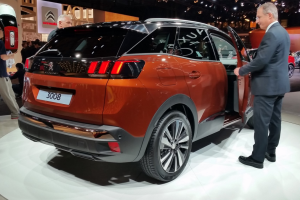 Peugeot has finally launched its new 3008, a stylish crossover SUV that proved the French manufacturer is finally ready to move away from the original 3008 model’s MPV look. This one will sit underneath the new 5008. The Peugeot 3008 will have a starting price of $26,759, which makes it more expensive than the Nissan Qashqai and the SEAT Ateca. The affordable price tag (yes, despite being more expensive than two of its rivals) is largely thanks to the automaker deciding to balance it out—use premium materials and still be practical on where it puts it. The entry level is called the Active trim, and it packs a considerable hefty infotainment system—12.3-inch digital instrument display, 8-inch touchscreen with built-in Apple CarPlay and MirrorLink for Android smartphones. 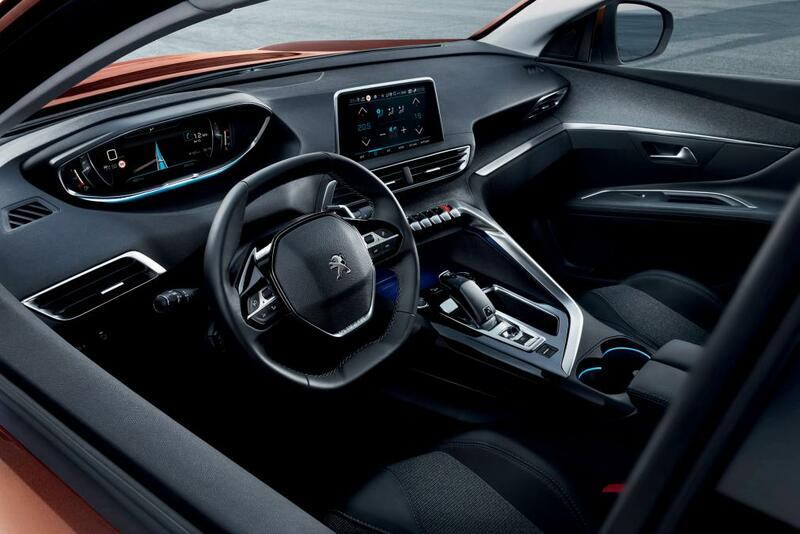 The new 3008 will come packed with the so-called i-Cockpit interior, which will cocoon the driver in the screen-laden center console and dashboard. 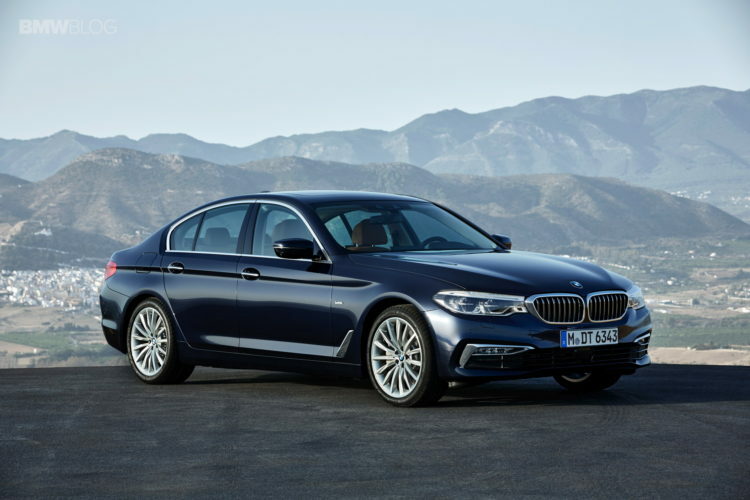 Standard also to the entry-level model are the dual climate control, rear parking sensors, automatic emergency brakes, lane departure warning, and distance alert. Those who want more can opt for the Allure trim, which has a starting price of $28,969. This comes with additional safety features. 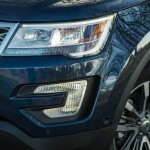 The entry-level model sits on 17-inch alloy wheels with automatic headlights and wipers. 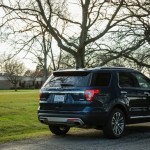 The Allure trim gets more—larger 18-inch alloy wheels, chrome detailing on the front wing, grey scuff plate on the front bumper, and stainless steel doorsills. If you are looking for a sportier model, go with the GT Line for $31,302. It tweaked the original design to get a different grille, improved front bumper, black roof, twin exhaust effect rear bumper, LED headlamps, foglamps, and front indicators. The 3008 GT, the range topper, will sell for $40,511. Aside from all the stunning features mentioned above, this one gets a 2.0-liter BlueHDI diesel engine paired with a 6-speed automatic gearbox. It can produce 179 horsepower. Fuel economy is rated at 58.9mpg. 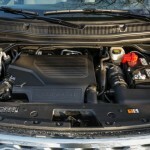 The cheapest engine option is the turbocharged 1.2-liter PureTech 3-cylinder petrol engine. It can produce 129 horsepower. 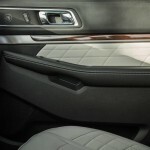 Standard to the new 3008 are full leather seats. 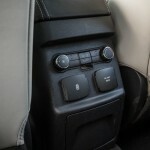 The driver’s seat, in particular, is eight-way adjustable with a multi-point massage function. 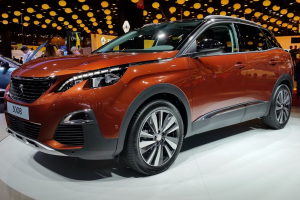 The 3008 GT will have aluminum roof bars, panoramic glass roof, keyless entry/go, adaptive cruise control, and an electric tailgate. 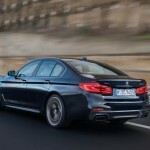 There will be four variants for the 2017 BMW 5-Series that will come out in 2017. The remainder will be arriving in 2018. 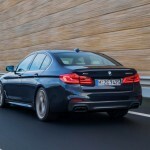 That being said, you have four prices to choose from if you want to get your hands on the 5-Series. 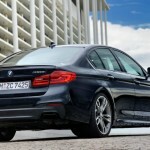 The base variant of the 5-Series is the rear-wheel-drive 530i. 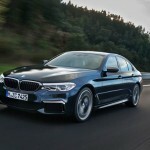 You can get it for $51,200, and comes with a 2.0-liter turbocharged I4 engine that can produce 248 horsepower and 258 pound-feet of torque. 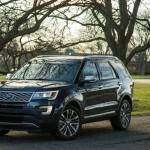 The engine is paired with an 8-speed automatic transmission. If you want some winter season features, you can get it all on this base model for $53,500. If you have more bucks, you can get the 2017 BMW 540i, which sells for $56,450. 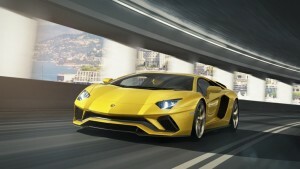 It has a 3.0-liter I6 engine that can churn out 335 horsepower and 332 pound-feet of torque. 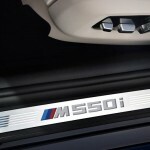 It can go 0 to 60 mph in 1.1 seconds less than the 530i’s 6-second time. 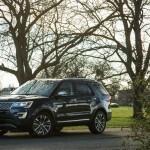 Again, the 8-speed automatic transmission will come as standard. 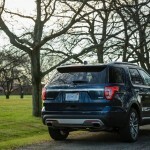 If you want it with an all-wheel-drive, you will be charged $58,750. Thinking of going environmental-friendly? You may want to check out the plug-in hybrid, which offers 15 miles of all-electric range. 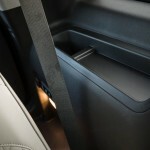 The battery is tucked under the car’s rear seat. 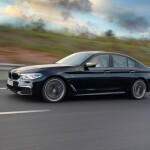 There are no pricing details yet for the 530e iPerformance. 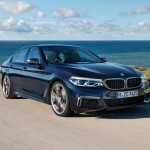 Don’t expect it to be as cheap as the other variants, though, because all those electrification will certainly make this one of the most expensive vehicles in the lineup. 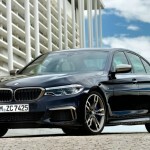 Until the M5 makes its debut, the M550i xDrive is all you have for the highest-performing 5-Series in BMW’s lineup now. 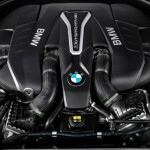 Under the hood, you can find a 4.4-liter, twin-turbocharged V-8 that produces 450 horsepower and 480 pound-feet of torque. 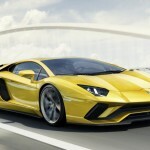 It can get to 60 mph in just 4 seconds while the peak torque is at 1,800 rpm. 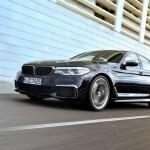 There is also no pricing detail released for the M550i xDrive because it will come out as a 2018 model. 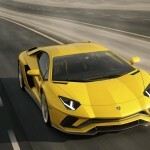 The Lamborghini Aventador is adding a new one to its already bulging roster—an Aventador S with an extra 70 horsepower and rear-wheel steering. 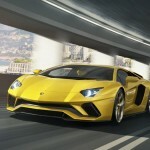 The Lamborghini Aventador S will fall between the regular Aventador and the flagship grade SV model. 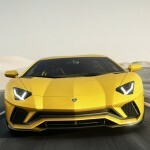 The new Aventador S comes with a more aggressive front fascia with modified splitter and bumper. There are also two new side air ducts that were incorporated for downforce duties. 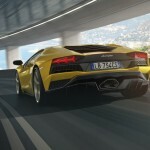 If you look at the rear end, you can see similarities with the SV—particularly the diffuser with vertical fins. This one’s vital to enhacing airflow and increasing the supercar’s downforce generation. There are three single exhaust tips in the middle of the bumper. 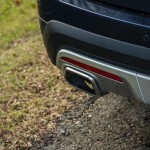 This only proves the existence of the new exhaust system that lost more than 20 percent of the weight of the current system. There are three automatic positions on the active rear wing that will depend on the velocity and selected drive mode of the vehicle. 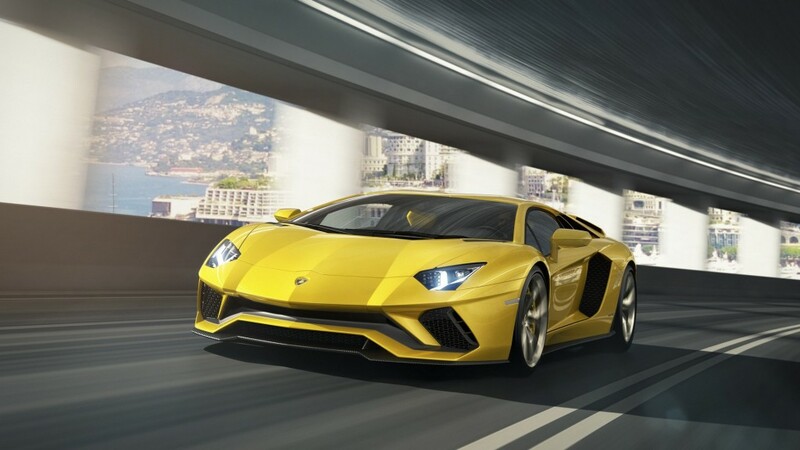 Thanks to the extensive aerodynamic modifications and the naturally-aspirated V-12 6.5-liter engine, the Aventador S cane give off 740 horsepower, a 40 horsies boost from the current model. 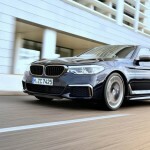 This power is being sent to the all-wheel-drive system using a 7-speed ISR gearbox. 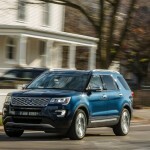 The torque is unchanged at 509 pound-feet of torque, though the revs increased to 8,500 rpm. It can go 62 mph in just 2.9 seconds. It has a top speed of 217 mph. For better handling and increase in lateral control, the Aventador S is fitted with a four-wheel steering system. To accommodate this, however, Lamborghini’s engineers have to tweak with the supercar’s pushrod and magneto-rheological suspension. The Pirelli P Zero tires will also boost handling, traction, and braking efficiency. Standard to the Aventador S are the carbon ceramic brakes. 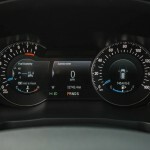 You can tweak with the driving modes—Strada, Sport, Corsa, and Ego—through the new digital instrument cluster. 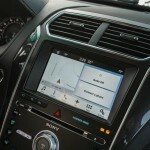 Technologies included are the Apple CarPlay and an optional telemetry system. 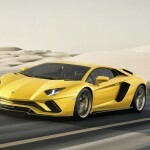 The Aventador S will start selling in Spring for $421,350. 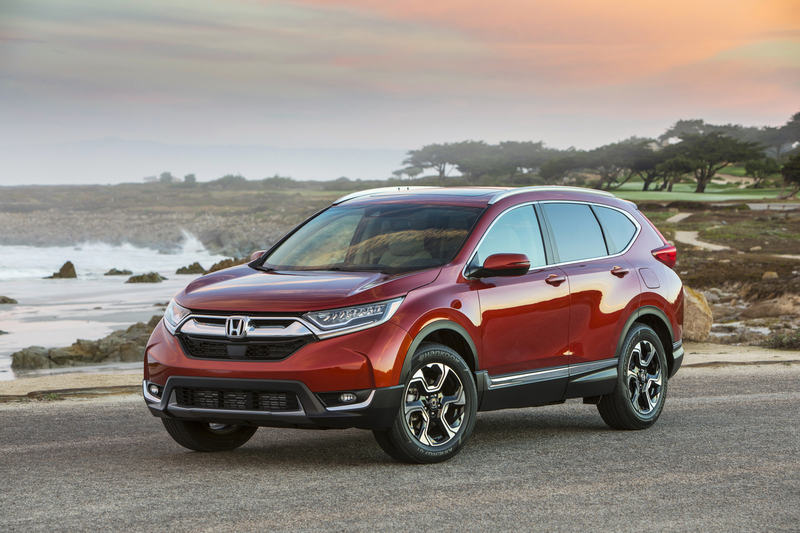 The 2017 Honda CR-V, a fifth generation, has been redesigned and reengineered. 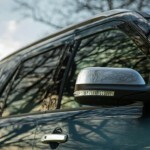 It packs amazing features—from the exterior design to the cabin to the machine under the hood. All of these come with an affordable $24,045 price tag. Not bad, right? Time and again, CR-V has been chosen by the best auto magazines as the car of the year. The 2017 model year will surely be no exception, thanks to the sophisticated styling, a more spacious cabin, and the model’s first-ever turbocharged engine. Couple that with a host of new technologies and improved connectivity, and we got ourselves a winner. The CR-V is styled way more aggressively than ever before. You’ll see that on the sharper front-end design elements, the aggressive stylized headlights with a wing-shaped LED DRL around it. It also has wide, muscular fenders, long hood, longer wheelbase, short rear overhang, and new dual exhaust outlets. Out front, you can expect Honda LED headlights for the Touring trim, an Active Shutter Grille system, uprated aluminum alloy wheel sizes to 17 or 18 inches, narrow A-pillars, and sporty dual exhaust. 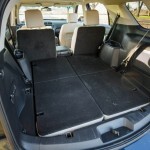 CR-V’s platform wins in space efficiency. 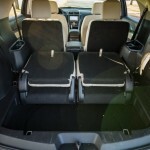 The new CR-V has a wider stance and longer wheelbase, which gives it a total interior volume of up to 1.8 cubic feet. Those who had problems with the rear seat legroom before will be happy to know that it increased by 2.1 inches. 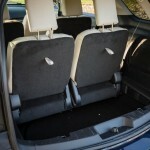 If the second-row seat is folded up, the total cargo length is up to 9.8 inches compared to the previous model. For the EX and higher trims, the 2017 CR-V will have the first-ever turbocharged 1.5-liter DOHC, Direct-Injected and the turbocharged in-line 4-cylinder with dual Valve Timing Control. 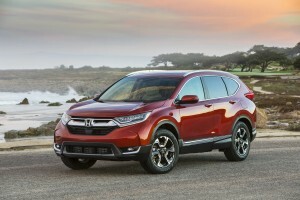 Its pairing with a platform that provides amazing aerodynamics numbers gave the CR-V the highest EPA fuel economy ratings in the compact SUV segment. 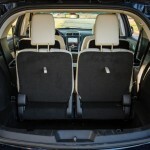 Aside from a more spacious cabin, the new CR-V also boasts of a new soft-touch instrument panel, stitched seats, a new color TFT driver information interface center, 7-inch touchscreen Display Audio interface with Android operating system, Honda Satellite-Linked Navigation System, Apple CarPlay, and Android Auto. 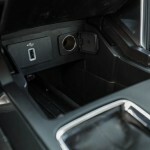 To make it more convenient for the passengers, Honda added these: remote engine start, dual-zone climate controls, heated side mirrors, an Electric Parking Brake, dual rear USB charging ports, front passenger seat with 4-way power adjustment, and driver’s seat with 8-way power adjustment and 4-way power lumbar support. If you’re excited about what’s in store for us in the new Kia Picanto, then you’re in for a treat. 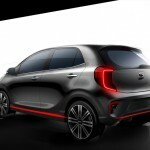 The South Korean automaker just released the first teaser sketches of the new generation Picanto, and it looks nothing like the current model. 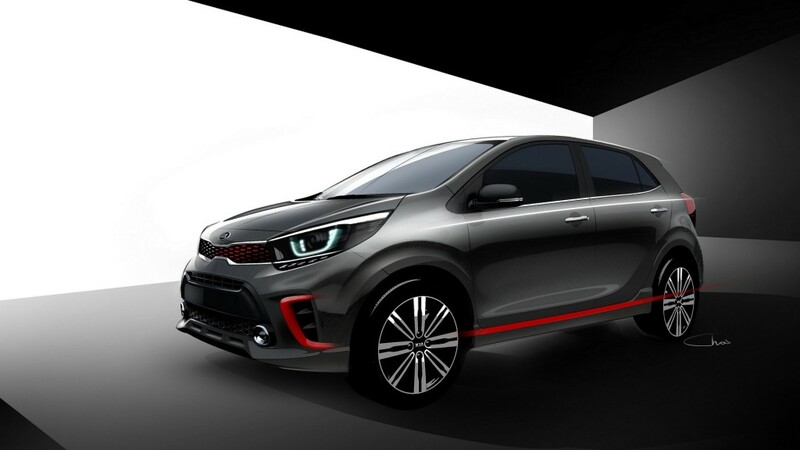 It looks like the Picanto will have a “livelier” exterior that will attract the younger generation (millennials) more. The Picanto is Kia’s smallest car, a crucial segment in the auto industry because smaller sedans are usually the first cars for college students and young urbanites. This third-generation Picanto is coming out with a few surprises up its sleeve—for one, it will have a larger dimension and it will have a completely different design from the outside to the interiors. 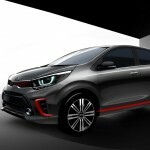 A few months ago, Kia introduced the new generation Rio subcompact, a truly critical phase for the brand because this is a fiercely competitive segment. Now that it’s ready to come out with the new Picanto, it came with guns blazing. The current Picanto is nothing to talk about, which makes the new one a future talk-of-the-town. 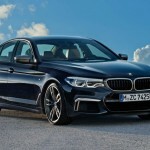 Apparently, the new model is going to have a more dynamic A-segment model, which makes it more enticing than its predecessor. The rendering of the new Picanto is a bit of a mix and match. On the exterior, it looks like the dual exhaust tips, bigger alloys, and fresh bumpers are based on the flagship GT Line version. Inside, the cabin is modeled after the 2017 Rio. Most noticeable in the cabin are the two circular instrument cluster dials and a digital round screen. 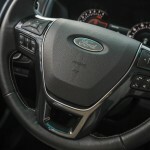 Even the steering wheel looks similar to the same unit found in the Rio. There should be a couple of power options—either an engine producing 100 horsepower or one that gives out 120 horsepower. 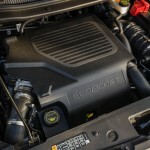 If Kia wants to offer affordability, they can go to a naturally-aspirated gasoline engine options. 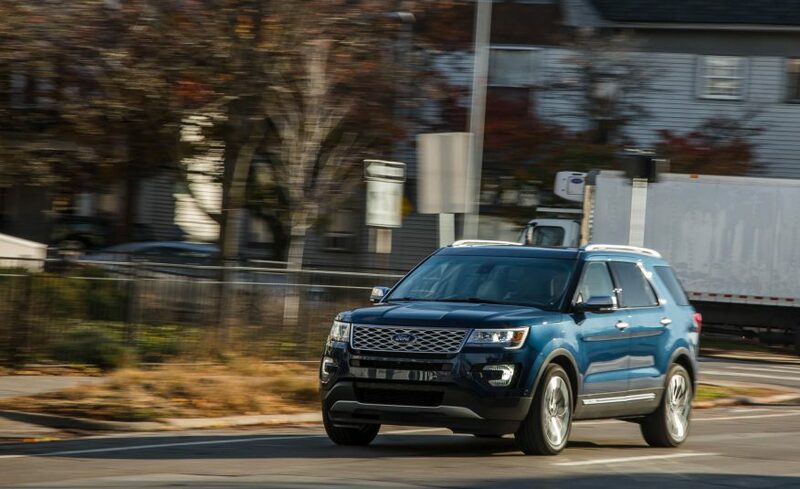 This top-of-the-line Ford Explorer Platinum gets a hefty price tag of $54,180. The exterior details are almost similar to the lesser Explorers, but the interiors certainly separated itself, thanks to the 10-inch digital gauge cluster, quilted leather seats, leather-wrapped dashboard, and real wood and aluminum accents found on the dashboard, doors, and steering wheel. 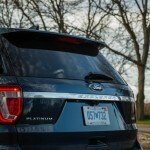 Standing at 4,980 pounds, the Platinum sets itself to be the heftiest out of all the current Explorers. 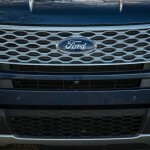 But, this didn’t stop Ford from engineering the vehicle to be its quickest, too. 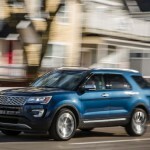 That’s largely because of the Platinum’s twin-turbocharged 3.5-liter V-6 EcoBoost engine that it shares with the Explorer Sport. This engine can deliver 365 horsepower and 350 lb-ft of torque. 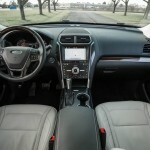 It is paired with a six-speed automatic transmission with a pair of steering-wheel-mounted paddle shifters. Standard is all-wheel drive. 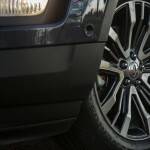 It also comes with 20-inch wheels in all-season Hankook tires. 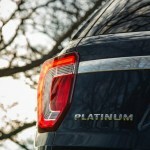 Once inside, you’ll feel the premiere and luxurious materials being offered by the Platinum. The central touchscreen is more responsive—there’s no need for a second or third tap to confirm a request. 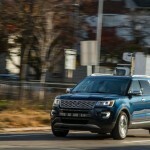 It has standard features such as an adaptive cruise control, lane-keeping assist, an automatic parking system, dual-panel sunroof, a blind-sport warning system, and a front-mounted camera. The three rows have more legroom, although they feel slightly more cramped than the Dodge Durango. 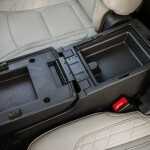 It, however, boasts of the four cubic feet of cargo space behind the rearmost row. 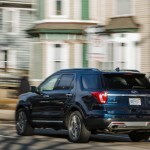 The price tag may be hefty for a midsize crossover SUV, but it’s certainly more affordable than the Acura MDX and the Infiniti QX60, both of which come with the same equipment levels. 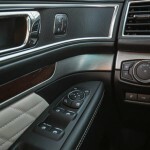 The only thing that the Acura and the Infiniti hold above the Platinum is its more luxurious branding. 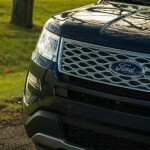 In terms of power, both vehicles don’t offer the V-6 in the Explorer Platinum. That’s a huge claim, considering that the Audi Quattro was such a legend in the auto industry until today. 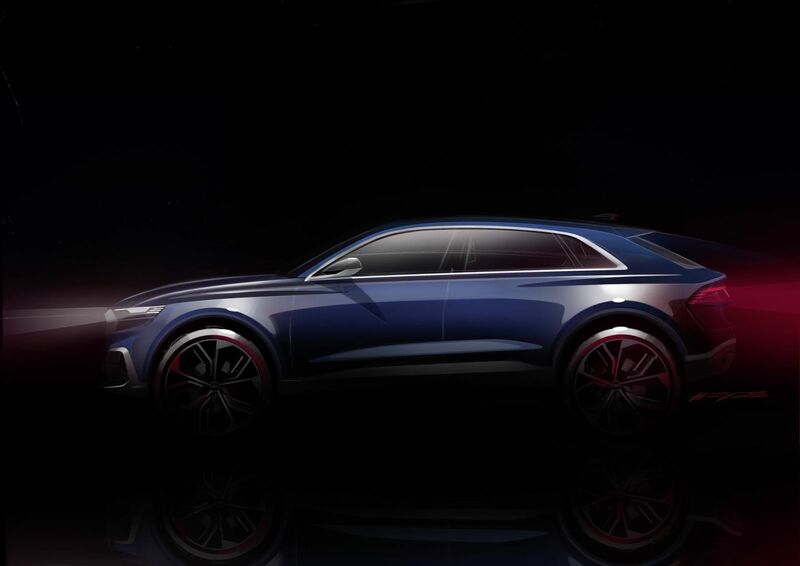 According to a report, Audi will introduce the Q8 in the coming Detroit Auto Show to showcase its spacious interior that has four “equally comfortable seats.” That happens despite sporting a flat roof line. 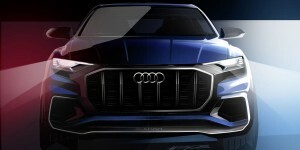 Speaking of exterior design, the Audi Q8 will come packed with its brand’s octagonal grille, which is now wider than ever and positioned forward compared to the current models. 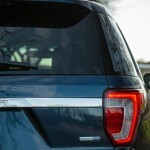 The C-pillar is flat but very wide, and is accompanied by flared shoulders above the wheels. 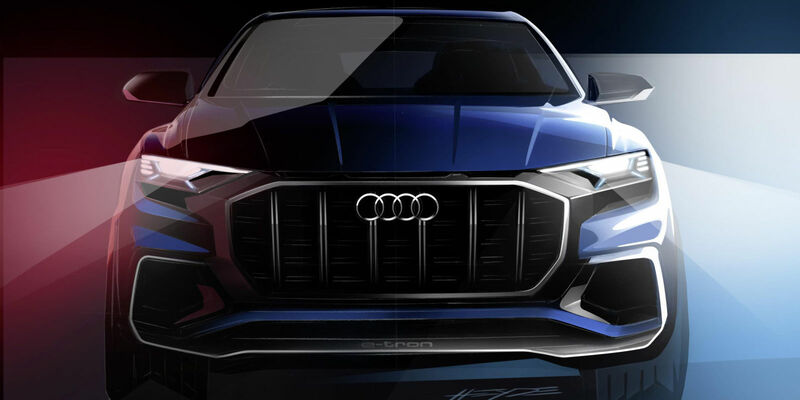 If you want to imagine how the Audi Q8 will look like, think about the BMW X6M but with more space inside. Down the line, you will probably see an RS variant of the Audi Q8. If that happens, it will be formed based on the Audi-developed MLB Evo Platform. 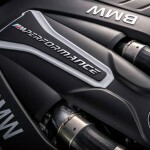 It packs a twin-turbo V-8 engine that was designed by Porsche though linked to a ZF transmission. We may also find the SQ7’s 4.0-liter TDI and electric turbocharger combination in the Q8. If a plug-in hybrid version ever arrives, you will see a V6 TDI that can churn out 30 miles of electric driving. 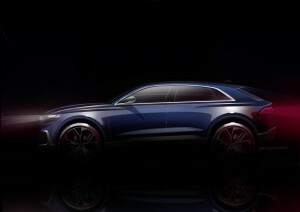 There was a rumor last year that Audi will introduce a fully electric Q8. That wasn’t sure yet, though, after the R8 e-tron was discontinued because of a lack of sales. If you want an all-electric car, you can check out the A9 in 2020. The fully electric Q8 is still possible, no worries. After all, Audi’s sales need to represent 15% EVs. 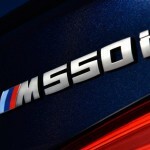 For now, this is the best of the best of BMW’s M series. That is, of course, until the German brand decides to wow us in the future with an innovative tech in its sea of executive sport machines. 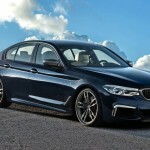 According to a source, the 2018 BMW M550i xDrive is boasting of its twin-turbo 4.4-liter V-8 engine that can produce 456 horsepower and 480 lb-ft of torque. 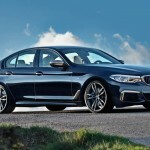 If you’re thinking where to put the M550i xDrive in terms of BMW language, it will fall somewhere between the E39 M5 and the E60. The E39 has a naturally-aspirated V-8 while the E60 packs a nutty V-10. Compared to the outgoing M5, this one’s 456 horsepower is 104 horsies less, so there is plenty for BMW to improve on the next M5. 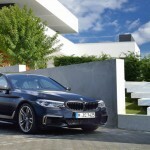 Fans of the original M5 will be happy to know that the German auto brand remained true to its core—the 2018 BMW M550i xDrive is made for executives who want a sporty but professional-looking sedan to drive them to and from the office regardless of the weather. This one will be knocking on your door as an all-wheel drive, similar to the Alpina’s B6 xDrive Gran Coupe. 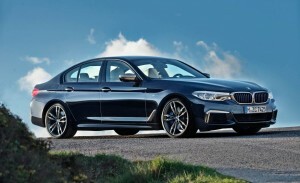 It can go 0 to 60 mph in just 4 seconds, which is merely 0.3 seconds short of the Alpina’s capacity. It paired its V-8 engine with a paddle-shifted, eight-speed automatic transmission. 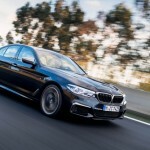 The 2018 BMW M550i xDrive packs in two pairs of 19-inch M wheels finished in matte Cerium Grey metallic. An option of going 20 inches in the same color is being offered. 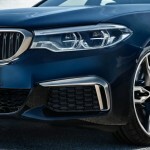 The dark finish was done to highlight the blue brake calipers, as well as the rest of the M550i’s looks—decklid spoiler, mirror caps, grille frame, fender vents, and M Performance front intake accents. Inside the M550i, you’ll find seats upholstered in black Dakota leather (nappa will be an option), as well as M steering wheel, M floor mats, and aluminum pedals. There is a slew of driver aids and connectivity tech. 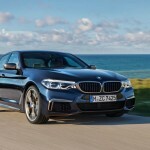 No price has been released yet for the 2018 BMW M550i xDrive, so stay tuned for more details.